Add your new book to your site in minutes, including links for purchase or download, sidebar widgets, and more. 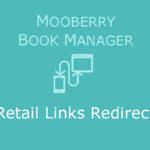 How Does Mooberry Book Manager Help Me? Manage the books on your website the same way you manage your blog posts and pages. Adding your books to your website is as easy as filling out a form. Mooberry Book Manager creates pages for all of your books, ensuring a consistent design throughout your site. No coding necessary. Create custom grids of all your books with just a few clicks. Several filtering, sorting, and grouping options available. Grids update automatically when you add a new book. Choose from displaying your newest book, a specific book, a random book, or a book that's coming soon. Another Set-It-and-Forget-It feature! 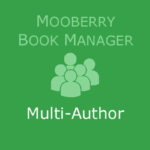 Mooberry Book Manager is a great free solution for many authors. But for those authors that need a little more customization and some extra cool, we offer optional extensions. Wait -- did you say free? Yes! 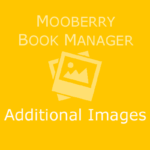 Mooberry Book Manager is completely free to use on your website. You only pay for the optional extensions you choose to purchase. That means you never have to pay for features you don't want. Included with your purchase is priority support, just in case you need help. But what if I need even more? We have several more extensions in the works. Maybe we're already working on what you want. Maybe not. But either way, we love to hear from our users! Drop us a line about what you need to make Mooberry Book Manager the best book management WordPress plugin for authors, and we'll see if we can make it happen. Who is Mooberry Dreams anyway? Here at Mooberry Dreams we use the "Royal We." In reality, Mooberry Dreams is one person, Christie Speich. Someday we hope to grow into a team. A computer geek through-and-through, Christie learned how to create WordPress plugins so she could make updating her own website easier. 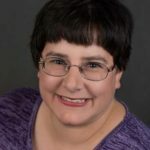 That plugin she wrote for herself eventually grew into Mooberry Book Manager, which launched in 2015. In addition to a programmer, Christie is a wife of one, a mom of two, a pumpkin carver, and a seamstress of princess dresses for little girls. A writer. A quilter. A cross-stitcher, and a digi-scrapper. Before staying home to raise children — a lifetime ago, it seems — Christie was a full-time web developer, using ASP, ASP.NET, VB.NET, C#, and PHP. She has a B.S. in Information Technology and an A.A.S. in Computer Science. But that's all irrelevant because after over a decade of raising kids, she's forgotten anything she might have learned in college.